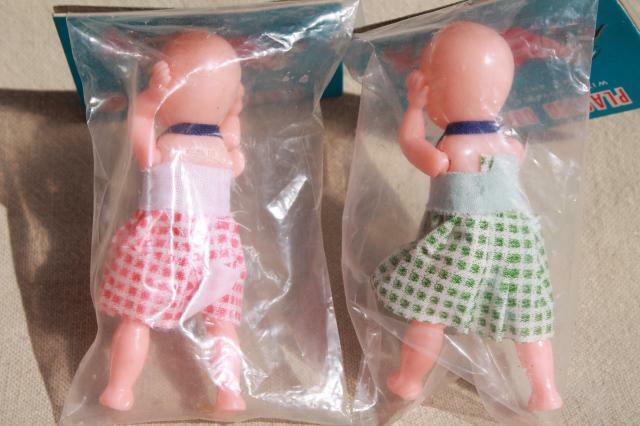 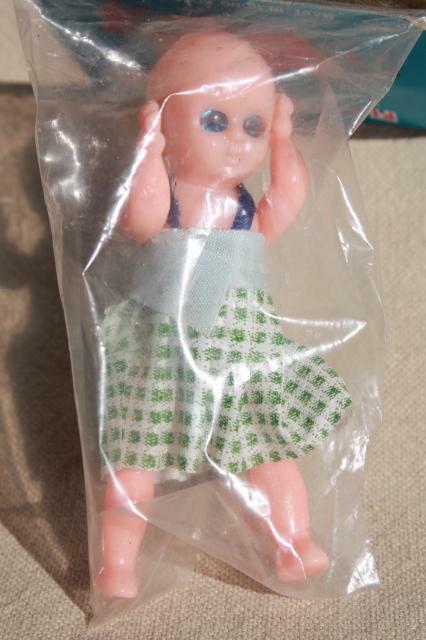 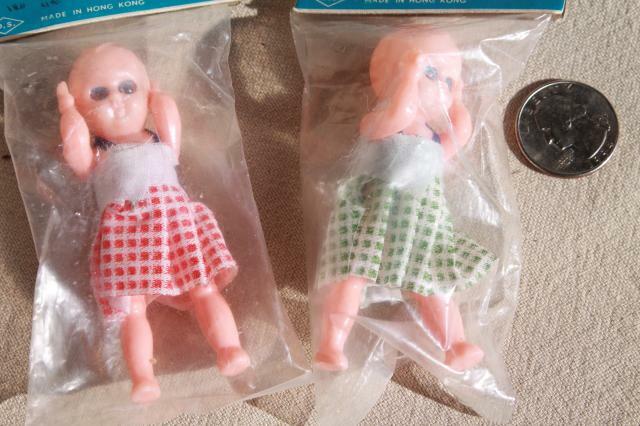 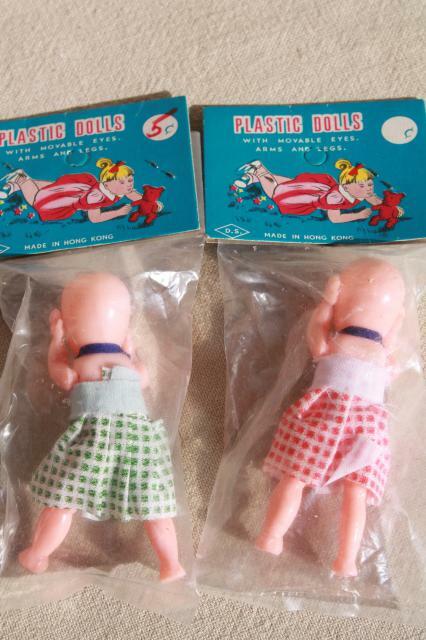 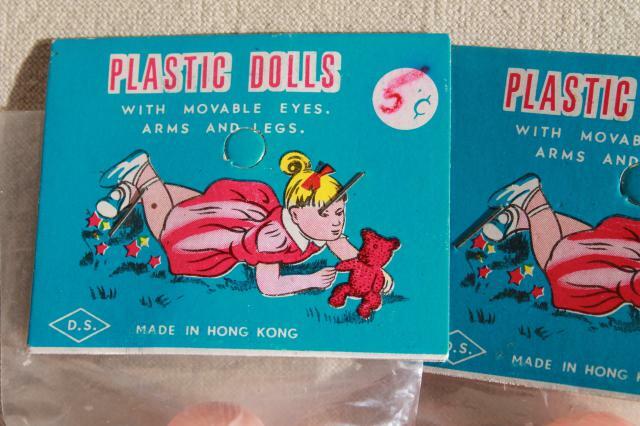 Two vintage mint in package hard plastic baby dolls, about 3 1/4" tall, made in Hong Kong. 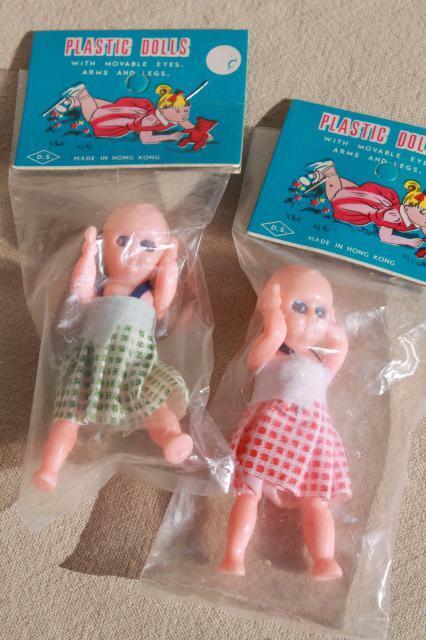 These have moving eyes, arms and legs... kind of scary, like crazed kewpies! 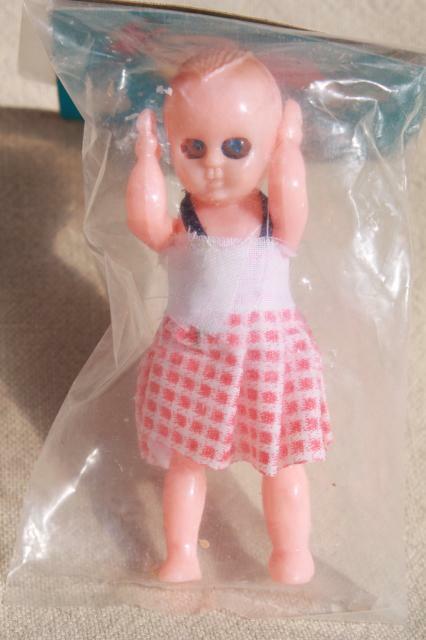 Cute, and in very good condition.